orchestration is standard (4 perc) but adds soprano sax, piano, and celeste. 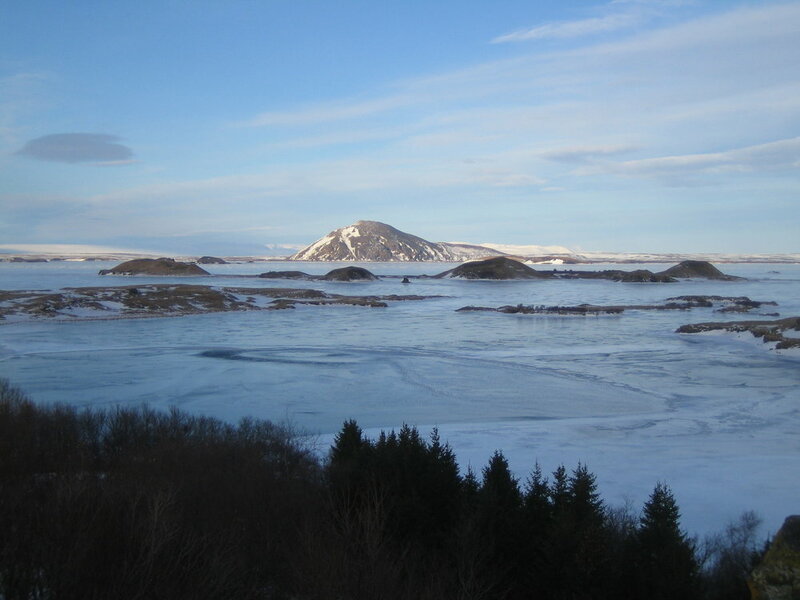 Lake Mývatn is a shallow volcanic lake in the north of Iceland. This particular lake is home to thousands of birds, and even more mosquitos, from where the lake gets its name (mývatn essentially means ‘lake of flies’). Being formed from lava 2300 years ago, the lake was and is an active volcanic site. The subtle changes from winter to spring, the effects of a large flock of birds, and an underlying sense that at any moment, the earth may dramatically break open, became starting points for this composition. The piece is mostly textural, beginning quietly with solo lines, a music-box-like chamber grouping, and distant strings. The primary material, which is often like birdsong or quiet melodies heard in the distance, is paired with subtly shifting harmonic backgrounds and shimmering patterns. When the brass enters midway, they begin rhythmic patterns that lead to a climactic change with a wave of strings. It is suggestive of an eruption, but I envision the loudest moment not as one dramatic event but one rise and fall of the grand scheme of natural and geologic time. Following the climactic exclamations, the main melodic theme is stated, and the piece returns to a strange quietness. The work was chosen for a reading by the Pittsburgh Symphony Orchestra, and first performed at Carnegie Music Hall of Pittsburgh in March of 2008 by the Carnegie Mellon Philharmonic.